Having a regular supply of the necessary pool chemicals is essential to keep your swimming pool in good condition. However, to keep the chemicals themselves in good working order, it’s important to store them correctly. 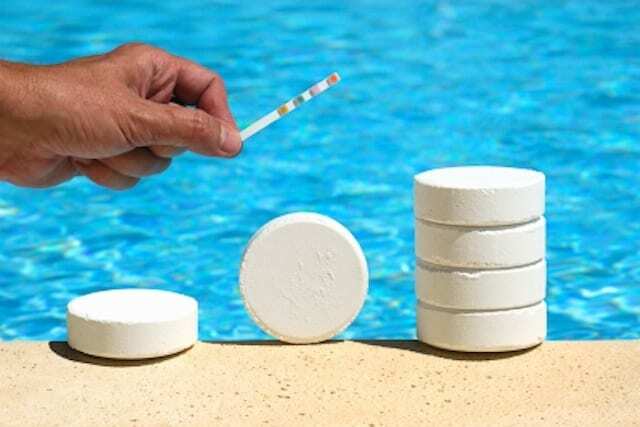 Here are some frequently asked questions about where and how to store pool chemicals. What Kinds of Storage Containers Are Best? Pool chemical storage is safest when the chemicals are stored in the containers in which they were bought. It’s not necessary to transfer chemicals to different containers because the product packaging is designed to provide safe storage. The safest option for storing chemicals is to put the sealed containers into hard plastic bins with tight-fitting lids. Ideally, use several bins so that you can separate liquids and solids, and so that reactants such as chlorine and muriatic acid can be stored separately. Where Should Pool Chemicals Be Stored? In most cases, pool chemicals are more sensitive to heat than to cold. Some kinds of chemicals can withstand freezing, but it’s generally best to avoid exposing chemicals to extremely cold temperatures, as some may lose strength after cold storage. Some chemicals do react with heat, so it’s safest to store chemicals away from all heat sources, including sunlight. If pool chemicals are stored outdoors, it should be in a cool and shaded area. While these are some good general rules to follow for safely storing chemicals, hazards can vary according to the different products you use. 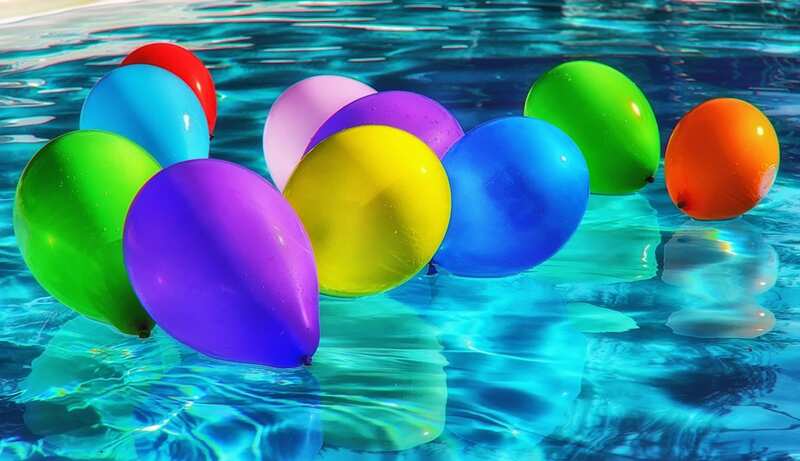 Most pool chemicals come with a Material Data Safety Sheet (MSDS) that provides details of hazards and safe handling practices, so check these to make sure you’re staying safe. Gave any questions about storing your chemicals? Contact us here! With summer gone, it’s time for above ground pool owners to close down their pools. Winter brings frigid temperatures and ice can cause thousands of dollars of damage to pools that aren’t prepared correctly. That makes properly closing down your pool an essential part of pool maintenance. Here are our key steps to prepare your pool for fall weather and beyond. You’ll need to remove and store pumps and filters. Insert plugs into the pool filter water intake and outflow openings (usually in the pool’s sidewall). Disconnect all hoses from the pool and let it drain. Disconnect and drain all water heaters, filters, skimmers, automatic chlorinator, or salt chlorinator, and then store these in a warm, dry place like your basement. Lastly, inflate and deploy the pool pillows and cover the pool. Be sure the cover is secure so that it won’t blow away and that there is enough support from the pillow underneath so that ice meltwater will drain easily from the cover. Otherwise, ice and meltwater can stretch and tear the cover and contaminate your pool water. Closing down your pool may sound like daunting maintenance job, but it’s something that can be finished in the span of a week but A mistake could cost you thousands. If you don’t feel confident enough to do the job correctly yourself, give us a call! 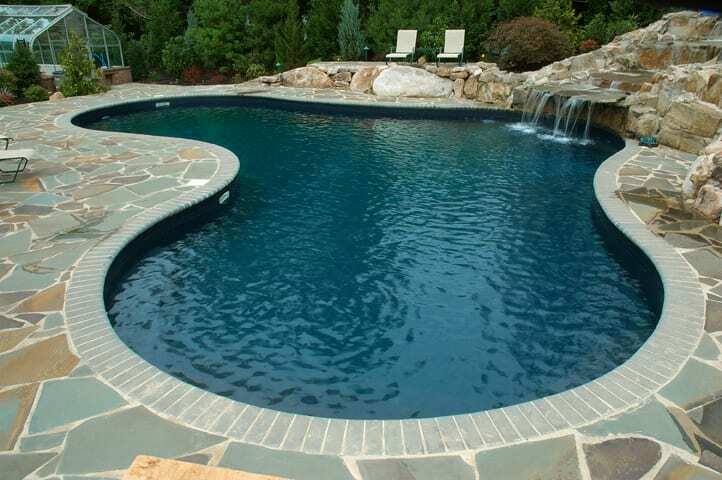 We offer above ground pool closing services. With your swimming pool, it’s important to ensure that your water is properly balanced. This will help your pool stay clean and stay in the best shape for many years to come. This will also to ensure that your family and anyone else who swims in your pool is safe. Here are our best tips for ensuring your pool is properly balanced and safe to swim in. Before you add chemicals into your pool, you should turn on your pump. This will circulate the chemicals you add throughout the whole pool. When working with chemicals, you can only add a certain amount of each chemical per 10,000 gallons of water at one time. The amount depends on the chemical and your pool size. If you need to add more than the maximum amount, add it slowly. You should add the max, then wait 6 hours before adding any more. Total alkalinity refers to the amount of alkaline in the water. Adding alkaline material into your water first is the best method. It will act as a buffer for your pH scale. This is the acidity of the water. Ideally, you will want your water between 7.4-7.6. Keeping your PH balanced will ensure the structure of your pool and equipment are not damaged from low or high levels. Do you have questions about which chemicals you need for your pool, or how to balance your pool properly? Don’t hesitate to contact us! The Dog Days of Summer. 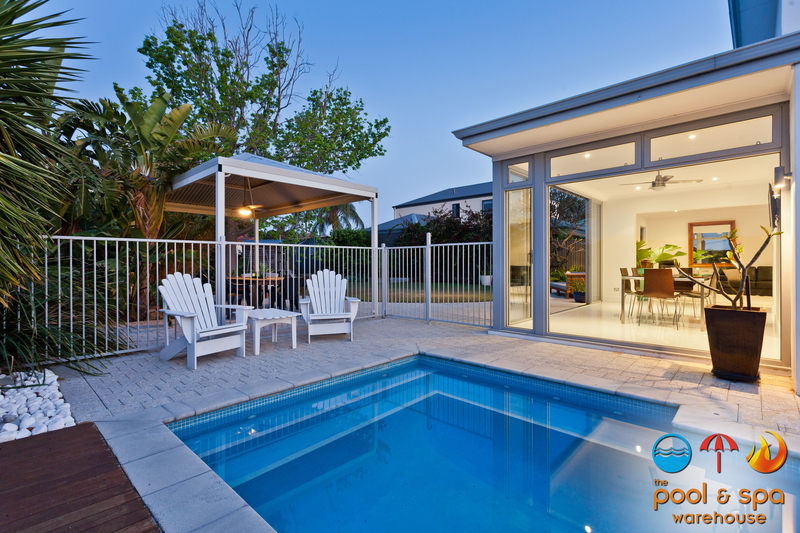 The hottest time of the year and the busiest time of the year for pool owners. It’s also the time of year when your pool water is exposed to higher bather loads, intense temperatures, and prolonged sunlight. Here is our list of things you should do to keep your pool happy and healthy in summer. July and August are the time when you need the most filtering of the season. Set that pool filter timer a few extra hours longer each day. What you spend in electricity you will save in chemicals which can really add up. Your water is warm enough to shut off the pool heater and the combination of warm water, bright sunshine, and frequent rainstorms, all call for more filtering time each day. Warmer water, more swimmers and longer sunlight hours mean that your chlorine will deplete or burn-up faster. Add extra 3″ tabs to your chlorinator, and/or turn the dial higher to maintain chlorine levels. Pool shock frequency may also rise during the hottest parts of the summer, to fight algae, bacteria, chloramines and cloudy water. Sunlight is an enemy of all pool chemicals on some levels. Long hours of daily sunlight means that stabilizer levels are even more important, to prevent degradation of chlorine when you need it most. Keep your stabilizer level between 20-50 ppm, and reduce or dilute if over 100 ppm. More important than stabilizer, however, is to consistently test your pool water balance during July and August. Your pool water is ever-changing, but never more than during the hottest summer months, when pH, Alkalinity, and stabilizer levels can rise and cause water balance problems. Hot temperatures, long sunlight exposure, and more pool parties mean more friends and family with more sunblock and oil. This can lead to a ring around your waterline, more organic solids dissolved in your water, and cloudy or hazy pool water. 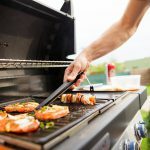 Enzymes are natural oil-eaters that also clean the pool filter of trapped oils and greasy gunk, and reduce chlorine demand by removing organics from the pool and pool system. Have any questions on keeping your pool in tip-top shape? Contact us here! Pool Safety is an important topic to discuss when considering getting and pool for your home. Here is our list of important precautions to take with your pool in the summer. When the little ones head to the pool, be sure to apply sunscreen and remind them not to run. The most important pool safety factor is supervision. Someone with CPR/first-aid knowledge is also important in case of emergencies. Training can be obtained via classes at your local hospital, YMCA or through the Red Cross, to name a few options. When the pool isn’t in use, a pool safety cover can be used to prevent any accidents from occurring. Flotation devices can help kids mobility in the pool and give parents peace of mind, but they don’t ensure safety, so be sure to remain watchful. Some swim experts even discourage the use of “floaties,” noting that they may give children false confidence. Water wings and other floatation devices can be dangerous. When it comes to pool parties, hiring a lifeguard can add a layer of safety. A lifeguard can make up for that reduced caution. To find one for hire, inquire at your local community pool or call a private lifeguard company. Lately, there’s been a push in awareness of dry drowning and secondary drowning. Dry drowning happens when water a child has breathed in causes their vocal cords to spasm and close up. Secondary drowning occurs after swimming or bathing from water inhaled into the lungs, causing trouble breathing. Have any questions about pools or pool safety? Contact us here! Swimming pools can be water wasters, but they don’t have to be. With some simple practices like turning down the heat, and prohibiting cannonballs, your pool doesn’t need to be a water hog. Reducing your swimming pool water needs is easy, but it can cost a few dollars. With some simple steps, you can conserve pool water and be able to tell anyone who asks how your pool actually saves water! Many pool owners backwash too often, every week for example. Let your pressure gauge be your guide – backwash when the pressure is 9-10 lbs above the clean pressure. Bumping a DE Filter (backwashing only for 10 seconds) will extend the time between backwashing. Using a Sand Filter Cleaner will help to extend sand filter cycles or time between backwashes. 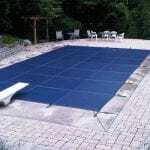 Any type of pool cover will reduce evaporation, heat loss and will save pool water. Even mesh safety covers reduce evaporation water loss by nearly 50%. Solar blankets are an easy way to both add heat to the pool (up to 10° for a sunny pool), and also reduce evaporation by over 80%. The best way to stop pool evaporative water loss is to use an automatic pool cover. Adding some shade to your pool can drastically reduce the sun’s evaporative effects. Shade can come from installing a Pergola or pool house on one end, planting fast-growing evergreens, or installing Sun Sail type shades to keep your water from evaporating so fast. Especially in the sunny south, shading the pool for at least a portion of the day is one way to conserve pool water. The wind is the largest heat thief of your pool, and when it takes heat off the surface, it takes some water along with it. Hedges, fences, windscreens and such can make a big difference if you have prevailing winds, mostly coming from one direction. You can’t completely shield your pool from wind, but every little bit will help to prevent pool water loss. Have any questions about how to save money on your pool? Contact us here! Getting a pool always comes with the big question, saltwater or chlorine? 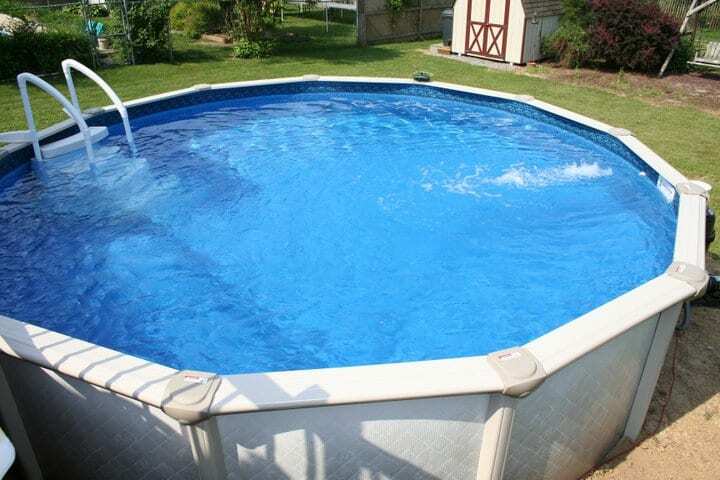 Above ground pools let you have the swimming space you want without worrying about digging a gigantic hole in your yard, but that doesn’t mean they have no effect on your yard whatsoever. Even though you no longer have to worry about removing all that soil, you still have to be careful about where you place the pool, and about what landscaping you place near it. Any landscaping you do around the pool should allow you and pool maintenance workers to access all parts of the pool. Shrubs should be at least a few inches away from the edge of the pool and not right up against it. Equipment for the pool, such as pumps, should never be blocked or enveloped by plants. You can certainly plant shrubs and hedges between the pool and your view of it from your house if you don’t want to see the equipment, but you must leave empty space around the outside of the pool. Part of the reason for doing this is to leave access, as noted, but it also helps prevent mold and fungi from taking over the plants and pool perimeter. That space lets air flow easily between the two, drying out excess moisture. All plants near the pool, be they shrubs, flowerbeds, or trees, should have nonaggressive roots that won’t spend the edge of the pool. For most shrubs and flowers, a few inches or a couple of feet will provide enough space to mitigate root issues. Any trees that are close to the structure, though, need to have taproots instead of large, spreading root systems. A good rule of thumb is to keep the pool out of the tree’s drip line, which is the line on the ground that corresponds to the approximate circle formed by the edges of the tree’s canopy. Like in-ground pools, above ground pools can get a bit splashy as everyone inside has a lot of fun swimming around. Excess water that splashes out needs to drain away from the pool (and your house). Before installing the pool, have landscapers double-check the slope of the land in the area where you want the pool. They can degrade the land if necessary. 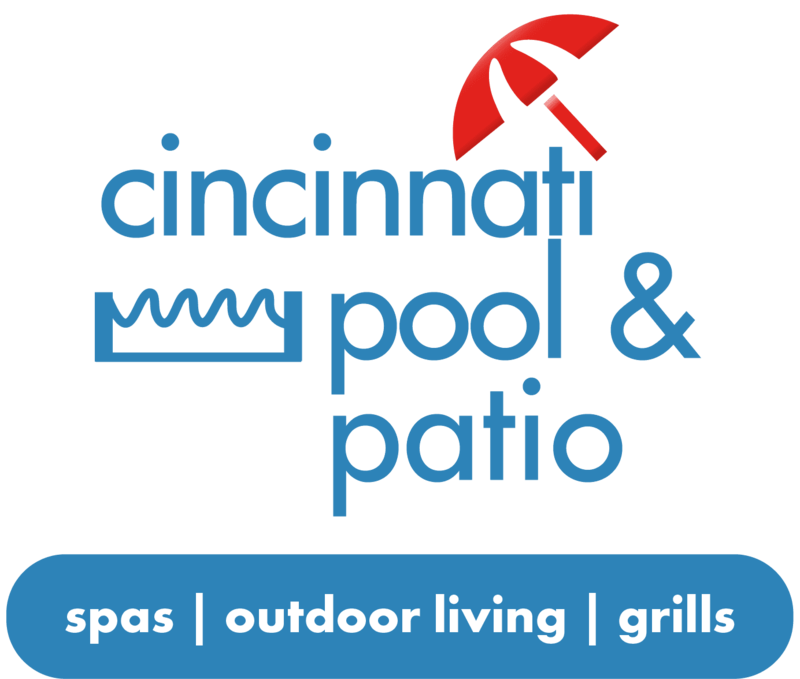 When you’re ready to choose a pool, contact the Cincinnati Pool & Patio. You’ll be able to see different pool sizes and configurations that allow you to find one that will work well in your yard.